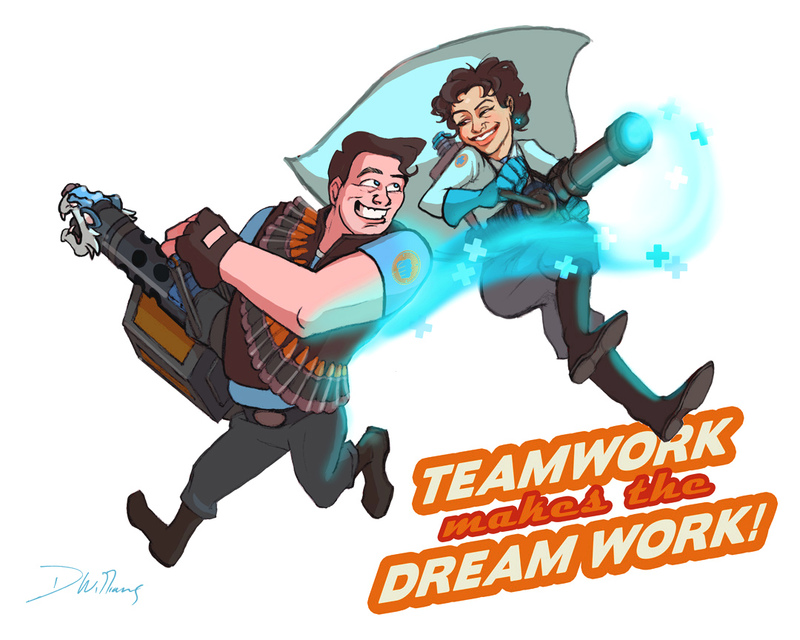 TF2 Art: Teamwork makes the Dream Work! A birthday gift for my Beau, who mains a Heavy in TF2. As it so happens, I main a Medic, making this a perfect relationship metaphor. I got this printed out at 16×20″ at Costco, so he has a mounted poster of it, woot! Did I mention I hate drawing machinery? All those straight lines and perfect shapes are difficult for me. But I drew some here. That’s how you know it’s true love. If you ever want to play with us, I’m AesAthena on Steam. Or maybe ASAthena, I don’t know! 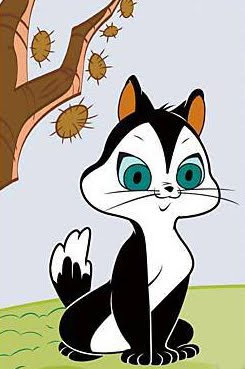 Look for the icon of Pussyfoot the Cat!